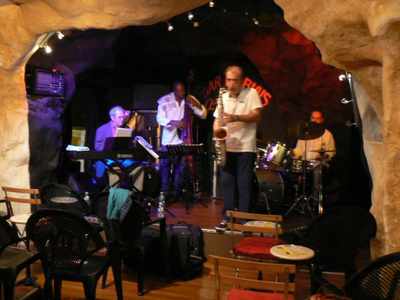 Opening night of the jazz season at Bar en Biais in Antibes featured Hank Nobra on Piano with the Eddy Gaulein-Stef Quartet. The place was packed and the musicians were indefatigable, playing for 2 ½ hours, with several of Hank Nobra’s orginal compositions played to perfection. If tonight was any indication, this will be a season not to be missed.